Cheeseburn Grange has a rich and diverse history. It was originally the Grange, or farm, of the Augustinian Priory in Hexham. It had been granted to the Priory by John de Normanville in 1297. It has a rich Catholic heritage and has been occupied by Catholic families from its inception. At the dissolution of the monasteries in 1536, Cheeseburn Grange came into the possession of the Crown and was leased to Gawen Swinburne. It passed to his widow, Margaret Lawson and then to her daughter who married Lewis Widdrington. Their son Thomas inherited the freehold in 1631. Upon his death in 1664 his brother Henry inherited. It remained in the Widdrington family until 1752, when Ralph Widdrington died without issue and Cheeseburn was passed to the Riddell family, where Simon and Joanna now live with their children. The Hall has been added to and remodelled over the years. An oil painting of Cheeseburn Grange, dated 1791, depicts a Tudor Manor House. Extensive remodelling was planned by Ralph Riddell Esq who commissioned John Dobson in 1820 to extend and remodel the hall. Not all his plans were carried out but the main entrance was moved to the west, the tower over the front door was created, the parapets were built and the present chapel constructed. The altar was built by Joseph Hansom in 1860. Above the altar the oil painting “The Descent of Our Saviour from the Cross” was painted in 1824 by the Flemish artist J.S. Verillin. It a copy of the centre panel of Rubens triptych which is in Antwerp Cathedral. 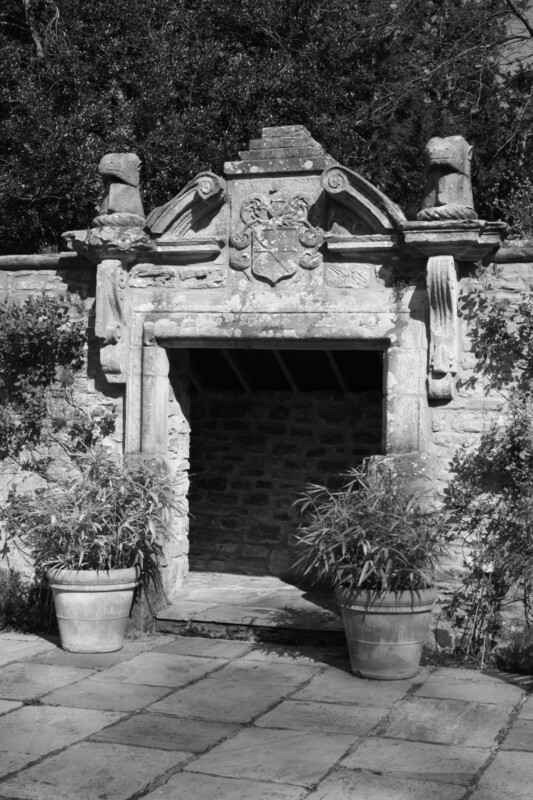 Dobson preserved the beautiful 18th century pillared stone doorway which he positioned in the garden and can still be seen today. In 1860 Hansom added a Gothic East Wing, demolished in 1973. During the Second World War the house was occupied by St. Vincent’s Orphanage. Simon and Joanna Riddell have lived at Cheeseburn since 1992, inheriting the house from Simon’s bachelor uncle, Philip Riddell.